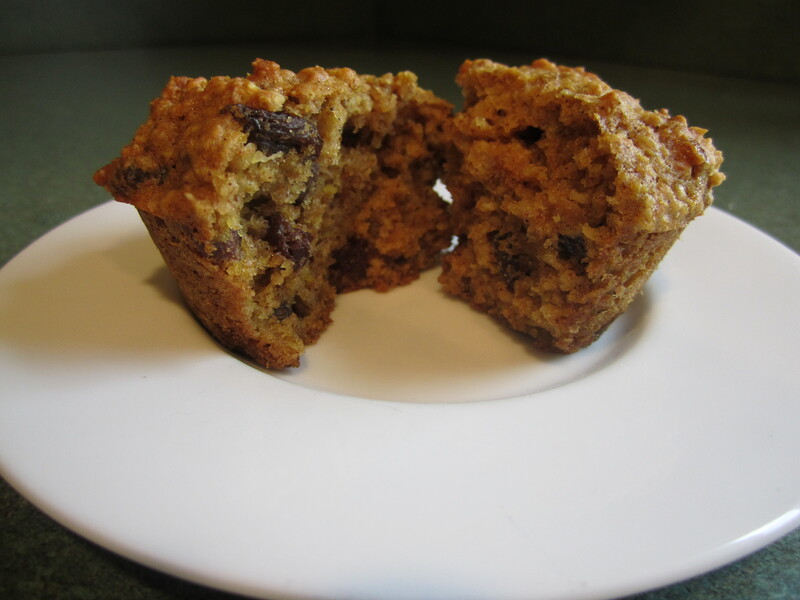 These muffins are not only moist and delicious but packed with nutritious add ins as well. Easy to take as is and eat out of hand on the road or split in two and toasted lightly with a dab of butter to be eaten at the table (or computer!). 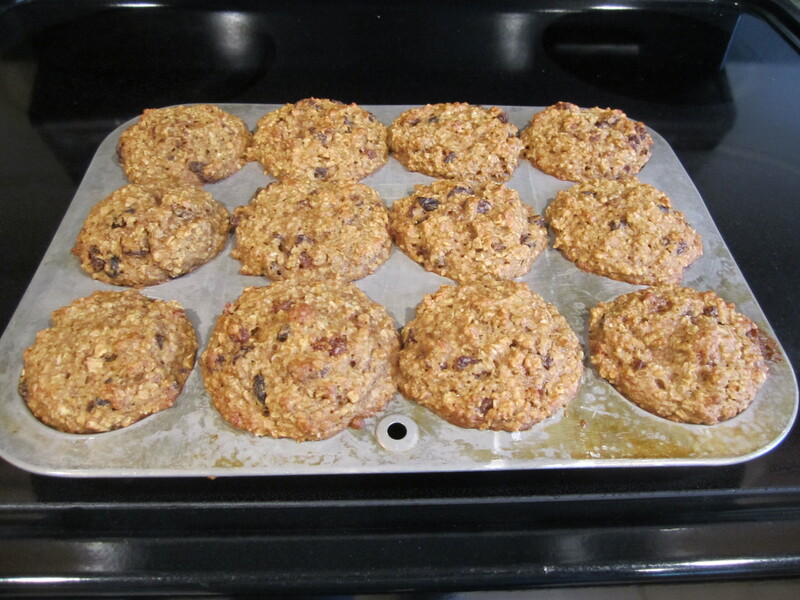 My husband takes these muffins to work with him along with a Granola Bar and yogurt when he doesn’t have time for breakfast at home. Preheat oven to 350 degrees. Spray a 12 cup muffin pan with canola oil. 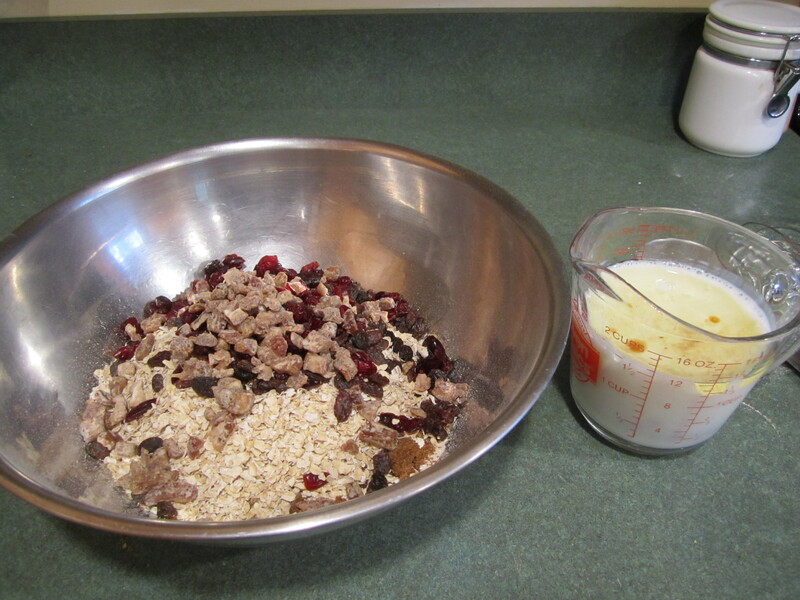 Put the first 11 ingredients, from flour to dried cranberries, into a large bowl. Stir together with a rubber spatula and then with clean, dried hands stir together the ingredients thoroughly, breaking up any brown sugar with your fingers. 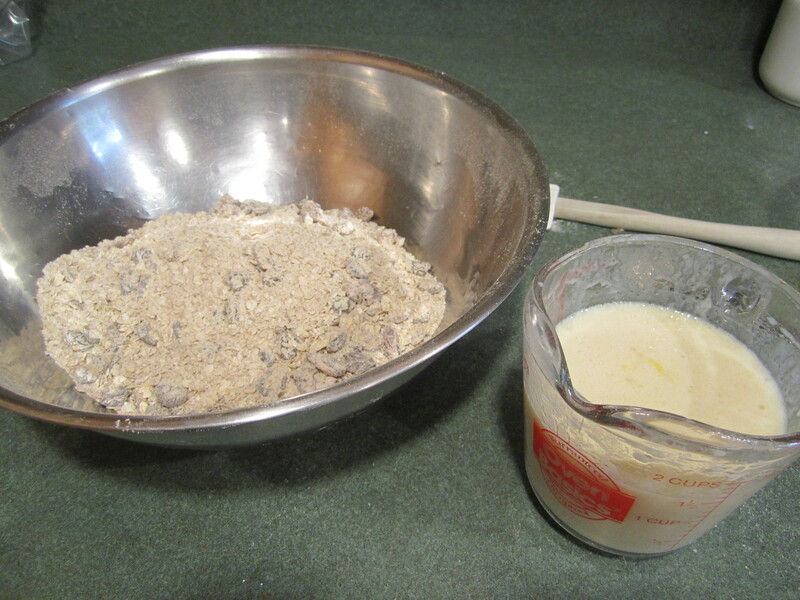 Put buttermilk, oil, vanilla and egg in 2 cup glass measuring cup and stir to combine with a whisk. 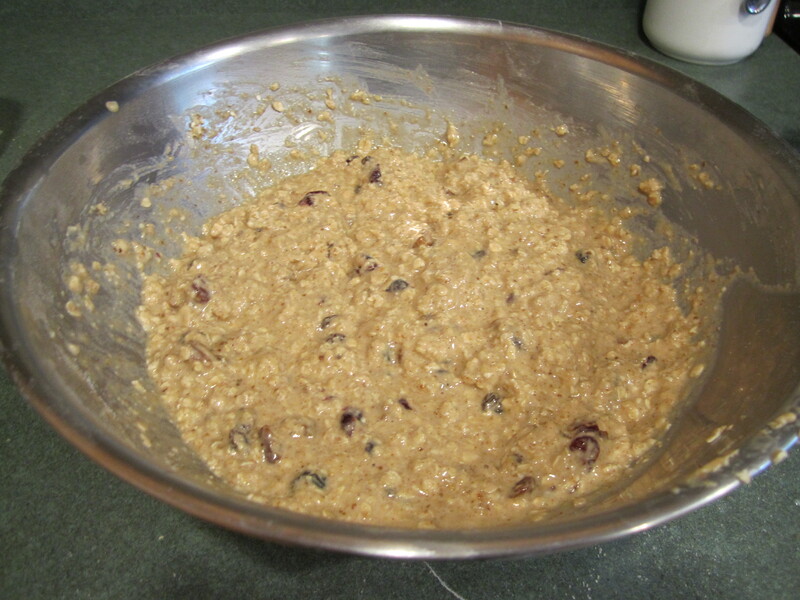 Add liquid to dry ingredients in bowl. Stir to almost combined with rubber spatula, then add boiling water. Finish stirring until just combined. Let sit for 10 minutes. 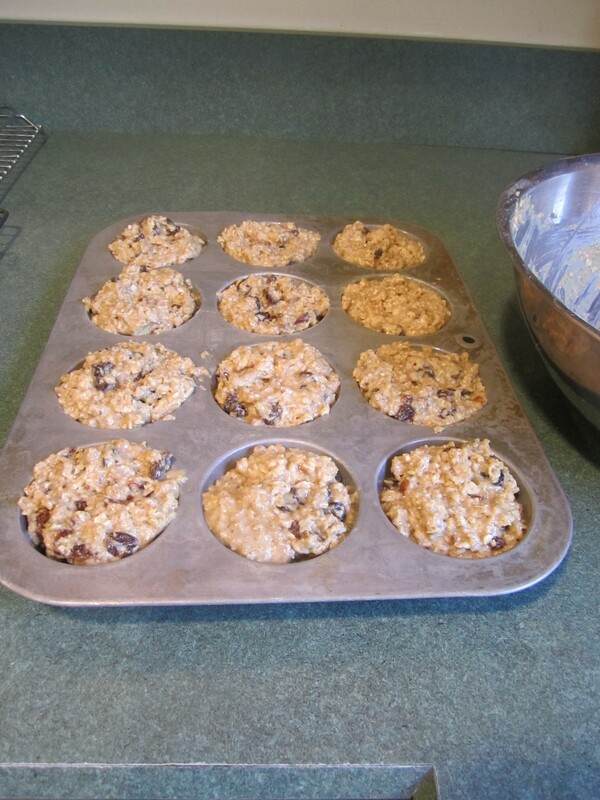 Spoon batter (I use an ice cream scoop, one scoop per muffin cup) into muffin pan and bake for 20 – 25 minutes, or until a tooth pick inserted into muffin comes out clean (can have a few crumbs on toothpick but no uncooked batter). Cool in pans for 15 minutes and then remove muffins onto rack to cool completely. It’s called research! I still haven’t found a morning glory muffin that appeals to me. Let me know what you find out!